In ancient times, subtlety wasn't really a big concern. Rulers and wealthy people had a limited time to make their mark, so monuments were huge and gaudy, and jewelry was big and flashy. Actually, that doesn't sound all that different from modern times. (Zing!) What was different about style back then was that rich, influential rulers were perfectly fine with just wearing huge hunks of gold around all the time. Rich folks still wear gold around these days to a degree, but not as stylishly as they used to! If you are wanting to glam up your ancient royalty costume, you have to go with ancient style. 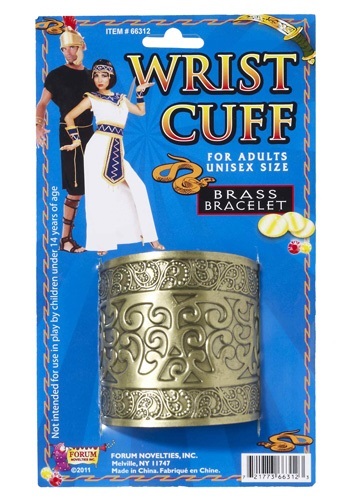 So, you should pick up a couple of these Cleopatra Wrist Cuffs to complete your look. 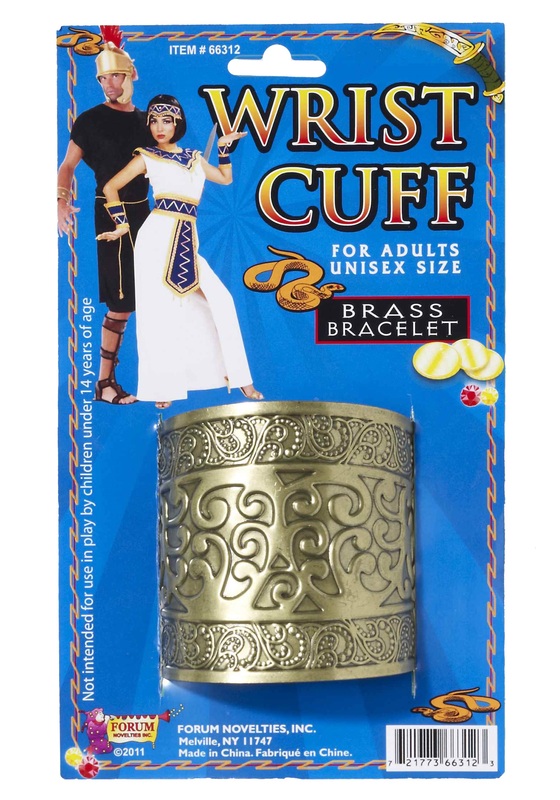 These cuffs may not quite glitter like gold, but they still have a metallic weight and shine to them, which looks and feels great with many ancient-inspired costumes. So, go ahead and add a little old timey style to your outfit. You can worry about subtlety later!